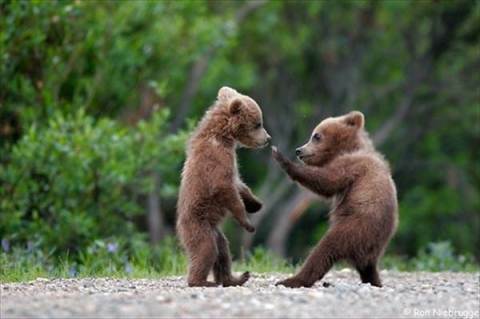 Kung Fu Bear Will Defeat Your Entire Clan! Kung Fu Bear mashups Continue reading Kung Fu Bear Will Defeat Your Entire Clan! Posted on May 26, 2010 Author chrisCategories Martial Arts Humor, VideoTags Animals, humor, Video, weapons9 Comments on Kung Fu Bear Will Defeat Your Entire Clan! If you’re being chased by an angry bull, and then you notice you’re also being chased by a swarm of bees, it doesn’t really change things. Just keep on running. Tanuki: The New Official Mascot of Tai Chi? Sporting a duck’s bill, otter’s feet and beaver tail, the platypus is considered by some to be the greatest combination of all animals. While many Chinese martial arts take inspiration from animals—Tibetan Crane Kung Fu, Monkey’s Fist, Dragon Style, and White Ape Boxing are just a few popular examples—Tai Chi Chuan uses dreary references to binary arithmetic. Small wonder, then, that most people consider Tai Chi boring. It has a serious image problem. To remain competitive with the thrilling spectacle of mixed martial arts, Tai Chi Chuan should adopt a provocative animal mascot. But what kind of animal best embodies Tai Chi’s unique qualities? Continue reading Tanuki: The New Official Mascot of Tai Chi? Posted on August 9, 2008 August 5, 2018 Author chrisCategories Martial Arts Humor, Tai ChiTags Animals, humor, Quotes, Tai Chi, Yang Lu-Chan5 Comments on Tanuki: The New Official Mascot of Tai Chi? Some scholars estimate that Kalari (also written as Kalari Payatte or Kalarippayattu) dates to 12th-century India. According to one legend, Kalari is the world’s first martial art. Gita Kolanad is 54, but she looks, and moves as though she were at least a decade younger. Born in Kerala, she moved to Winnipeg at age 6. She used to do yoga, but says she found it boring and took up Kalari in her 30s to keep in shape for dance.